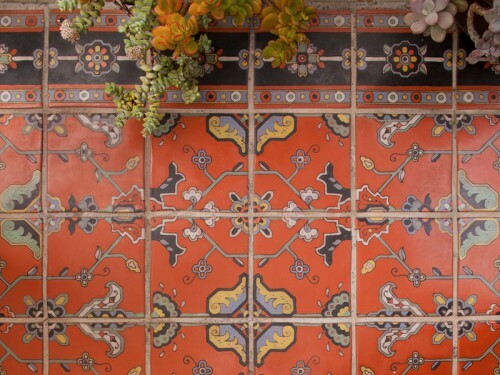 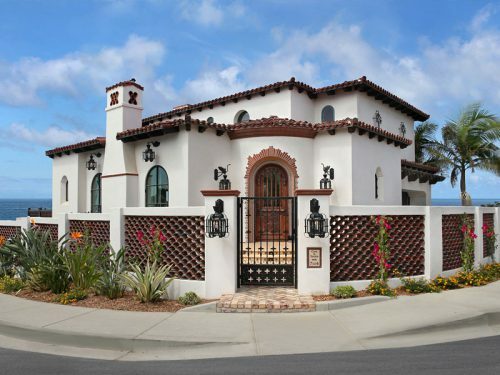 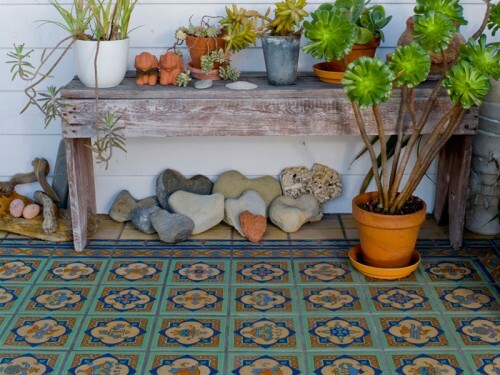 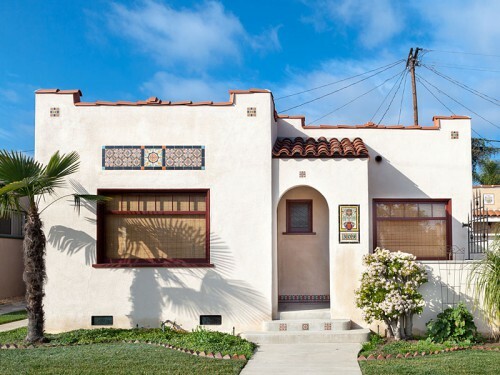 The owner of this expansive ocean view property wanted to use tile to help give the home a more intimate and personal feel by incorporating more colorful patterns to a mostly austere home. 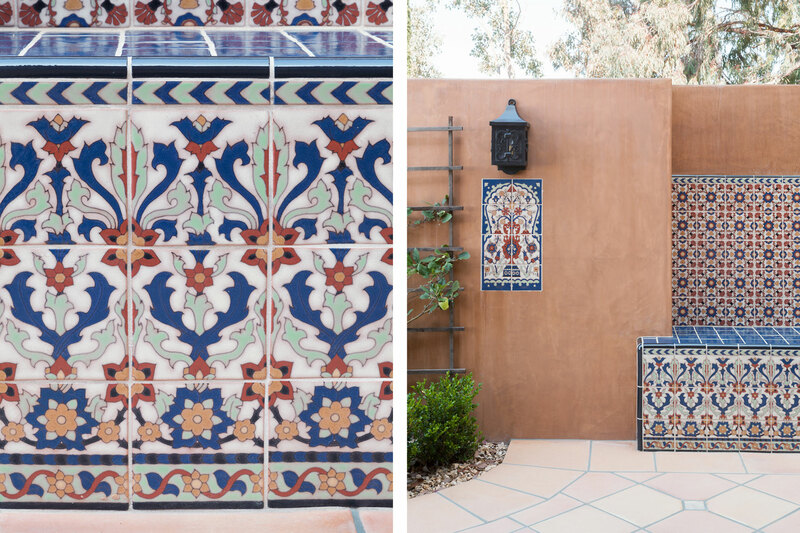 Together with Wynne Wilson of Terra Design, Native Tile created tile for the pool waterline, spa, and fountain. 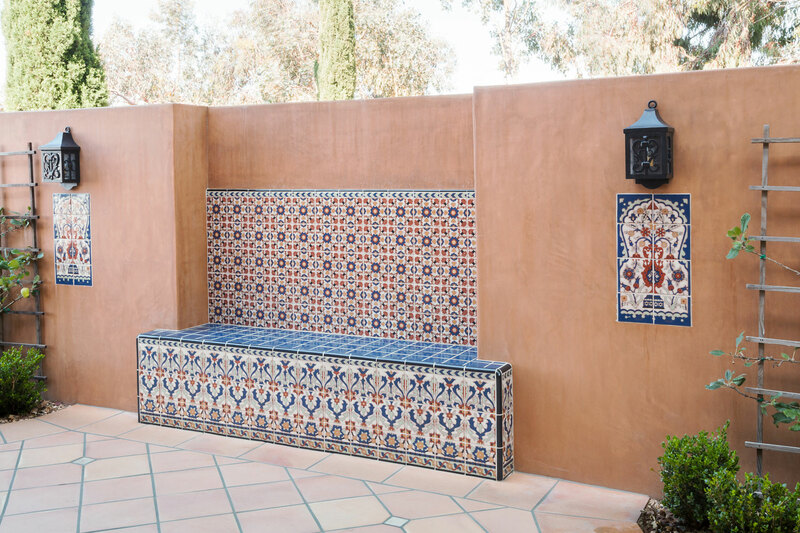 For the Victory Garden area, we added tile for the interior fireplace and bench.